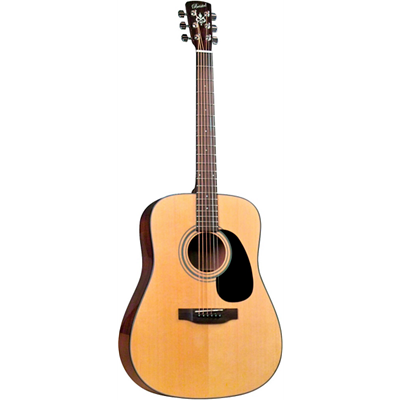 The acoustic guitar is an umbrella term for a large number of types and shapes of guitars, all of which tend to have unique sound and techniques associated with them. Not only that, but each category of the guitar has more “best guitars” than you would expect. So when you ask me what the best acoustic guitar in the world is, the first thing I will ask you to is: be more specific. What type of sound are you looking for? 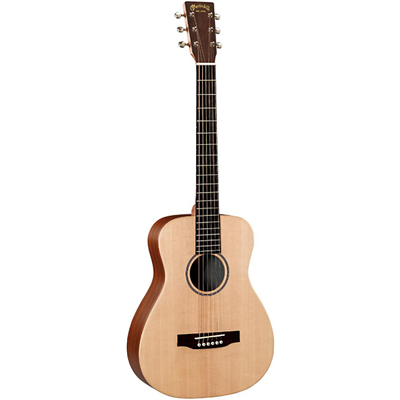 Do you prefer steel string or nylon string, classical shape or dreadnought? Maybe you’d like some electronic options? What type of material do you prefer? Wood, synthetic or maybe even steel? Are you looking for a unique shape, sound or something else? Don’t let all these questions confuse you, just allow yourself to learn more about the answers to them and you will end up finding your perfect guitar. The world of the acoustic guitar is riddled with options, all of them viable all of them interesting to pursue. The problem is, such a vast variety of options tends to paralyze those trying to chose. So let me be clear about one thing – despite all of the options available you probably have one type in mind when you think of acoustic. The steel string, wooden dreadnought. Despite this, I’ll explain some of the others as well. You never know, you might be convinced to pick up something entirely different and much more fitting to what you want to do. 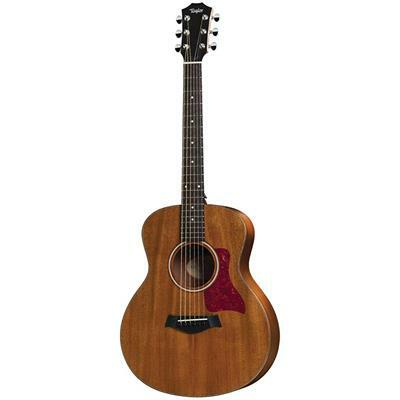 Entourage might have been a bad show, but the Seagull Entourage Rustic Acoustic Guitar is one of the best cheap acoustic guitars you could ever get your hands on. You don’t have to worry about it being loud, obnoxious or barely fun, since this guitar was made with you having a good time in mind. 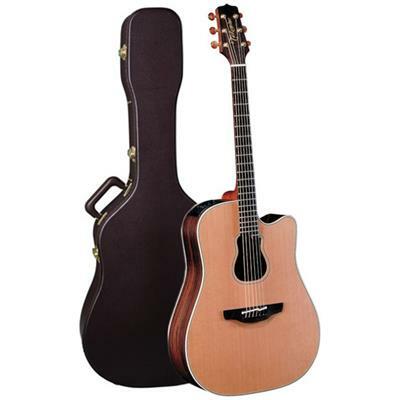 It provides solid sound thanks to its specially selected, pressure treated solid cedar top and wild cherry back and sides. A solid sound that is both vibrant, warm and sometimes, if you really want it to be, subtle and soft. This guitar contains all the good time you could ever want out of it – comfortable practice, beautiful gig sound and an attractive wing man… sorry I meant attractive piece of equipment to turn hands. The rustic design might look beaten but it is in now way flimsy. 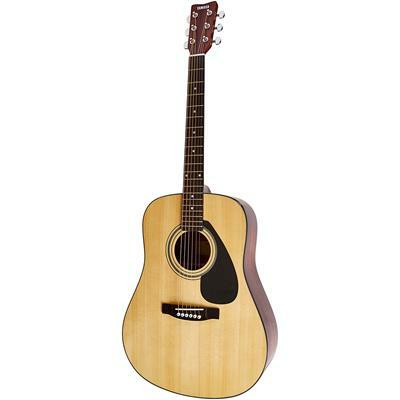 The guitar is solid quality and solid sound all packed into a solid price. Blueridge aimed to bring the traditional sound to the world of modern, price sensitive musician. The Bristol DB-16 Dreadnought succeeds in being incredibly affordable and infatuating in sound. The strange thing is that the guitar wanted to bring a traditional mountain sound but is named after a city with an incredibly rich maritime history. I guess we shouldn’t ask instrument makers to be aware of apt naming, or maybe they were simply adding some romance to the story. A guitar playing sailor taking off from Bristol to spread the beautiful sound of spruce top wood and mahogany sides and back around the world. Whichever it is, this guitar brings the sensitive force of sonic endearment to the hands of those who think that affordable is the best way to go. Each person has a different requirement for what makes the best acoustic guitar and for many (like me) one of the best qualities is affordability. Of course sacrificing quality for affordability comes naturally,but that does not mean the guitar has to lose most of its quality to price. Fender FA-100 Dreadnought Acoustic Guitar is one of the few instruments that does not sacrifice quality for price, so much so, that the guitar sounds like it should be more expensive. The sound of this guitar is strong and vibrant, and while some more advanced items are sacrificed to keep the price low, the guitar still stands as an incredible option for first time players, or those looking for the best, cheap acoustic guitar they can get their hands on. To combine traditional and modern is to produce something unique and useful. Ibanez aimed to produce something with that exact description – a piece of modern equipment that took everything a traditional guitar had to offer and better it with the technology that has since come along. In the end they produced AW54OPN Artwood, one of the best affordable acoustic guitars on the market. The instrument offers flexibility and solid, professional sound to those looking to start off their musical journey. While some of the beginners might be more appreciative of this guitar’s ease of use, even professionals will find the comfortable form of the guitar attractive. Hours upon hours upon days of practice will never feel burdensome to anyone who picks up the guitar. The mahogany solid top and back and sides will make sure that the practice will not burden your ears either. This instrument is a wonderful option for those of us who are more cost conscious. 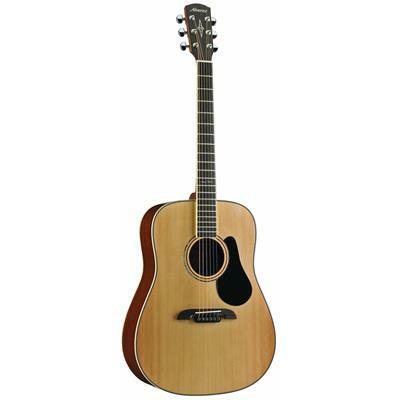 Any beginner will appreciate the mellow tonewoods, lightweight frame and the lack of a bank breaking price tag on the Yamaha FG800 Solid Top Acoustic guitar. Yes, I am saying this because, more often than I would like, the guitars offered to the public and to beginners, overlook the importance of being reasonably priced while being of acceptable quality. There might be dozens of some of the best cheap acoustic guitars on this list, but in the real world there are hundreds of cheap guitars that are not worth your time. Which is why this instrument is one of my favorites to write about: high quality sound for a price that makes sense. What else would you want right? Oh yes, details: The sitka spruce top and the nato back and sides make up a beautifully projecting dreadnought body. The guitar is lightweight but solid in sound and just comfortable enough to play that you will not want to drop it for a long time. Everybody wants to help a beginner, especially one that cannot afford to buy a guitar. The world of guitars is being filled up with cheap guitars that will perform just like the price tag implies they will. Not all of them are capable but most of them are made with kind thoughts in their minds. 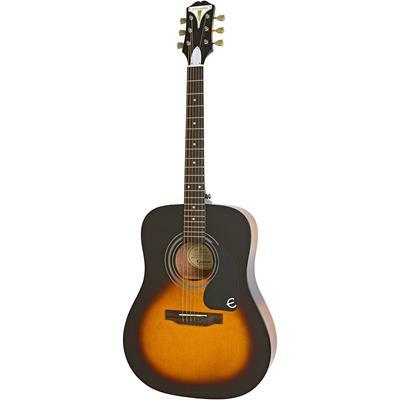 Epiphone Pro-1 Acoustic guitar is not made with kindness in mind. It is made with engineering in mind. It is made with efficiency and knowledge of what a guitar should sound like. It is made so that when you pick it up, you know that you will have a good time playing it. Epiphone has produced a good guitar for a price that is better than most of your best dreams. The select spruce top and the mahogany back and sides of this guitar produce a mellow, attractive sound that you, your roommates, friends or parents will find just as pleasant as they want it to be. The dreadnought body means strong projection and pleasant sound, turning heads wherever you are. This guitar is perfect for anyone looking to pick up an instrument for learning and an instrument for practice. The artist series does not exist to pander to the sense of entitlement that non deserving musicians get. The series named artist because the guitars that are part of the series are art themselves. While not being the best guitar to ever exist, Alvarez Artist Series AD60 over achieves in its price and quality range, producing a sound that feels high end, despite being one of the more affordable options on this list. The dreadnaught body allows the guitar the level of projection you could only dream of, while the Sitka spruce top resonates every single tone and sound you are going to play into a beautiful rendition. This guitar does not “play”, it sings, simply and brilliantly, spreading is warm, vibrant tones throughout any room it is in. Quite a catch. Any guitar can be a beginner guitar if you are generous enough. 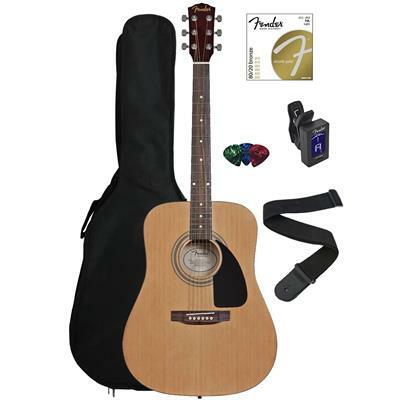 With Fender Beginner Acoustic-Electric Guitar CF-60CE you don’t have to be though. This instrument is offered as an option by Fender to anyone just starting out their musical career, and it gives them everything they will need on this yellow brick road. 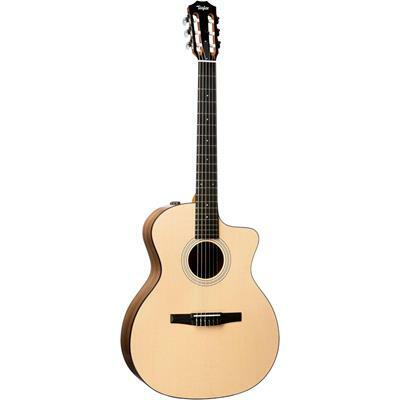 The laminated spruce top and mahogany back and sides are durable and sound very sophisticated, professional even. The folk body shape means less bulkiness and more comfort, as well as a nice, pleasantly projected sound. A slightly scaled down version of an already existing guitar by Fender, this one is perfect for anyone – munchkins, iron men, good and bad witches, as well as little girls and boys just starting out on their road of adventure. So much so, you don’t even have to take the gold bricks out of the road to buy this guitar, making it one of the best, affordable options for beginners. When you stand on a stage, be it in front of a dozen stragglers in a bar or a thousands of people at a stadium, you want your guitar to sound strong and loud. While there are many guitars capable of doing that, there are few just as good as the Takamine GD20-NS in the price range it is in. The dreadnought body shape is now traditional among acoustic guitars in the world, but the power of this instrument seems to be magical, especially judging by its location in the price range. The top wood, or resonator board, of the guitar is made of solid spruce, which allows the vibrant tones of the guitar stand out even more. Nobody stands a chance against this guitar when it starts playing. It will draw the attention of the loudest fan, making them quiet down when you want to and to go crazy when you want them to. 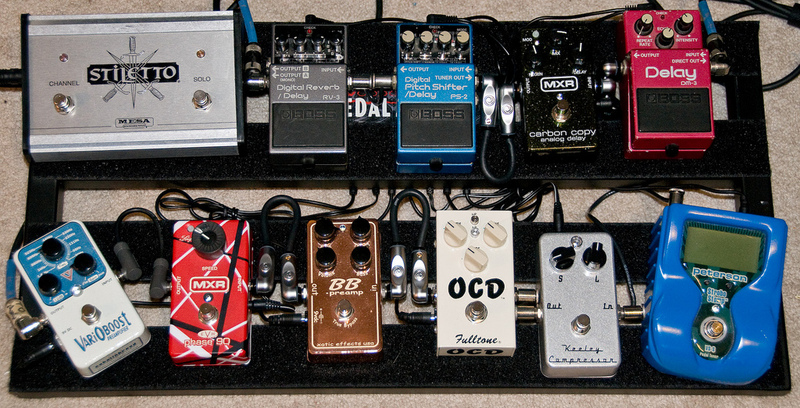 Some of us in the world of guitar players like to move around a lot. We like to envision ourselves constantly on the road, the green hills and the dark woods, green lakes and endless oceans disappearing behind our backs as we walk, ride, swim or fly across the world, in search of the next gig. In search of the next revelation and the next emotion to perform on stage or by a bonfire or on the street for the disinterested passersby, a sunbleached gang of beach enthusiasts or just another drunken crowd at a bar. To make a living by song and not by pay and to be hopeful that as a traveler, our backs won’t hurt much from the burden of never staying in one place for too long. Which is why a lightweight guitar is important, one that sounds much louder than it looks, one that inspires those who are shook. 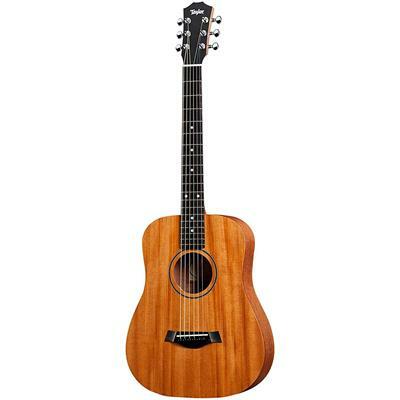 The Taylor GS Mini Mahogany is one of those guitars that help you travel without the fear of heavy, easily damaged guitars. This one small addition to your collection is bound to bring a happy little smile to you, every time you need to move a few kilometers for your next gig. Little Martin is a good friend because you don’t have to lug him around, only barely carry him on your back. A lightweight minstrel that sits as lightly on your back as on your lap, capable of producing a sound you will scarcely ever feel is inadequate. 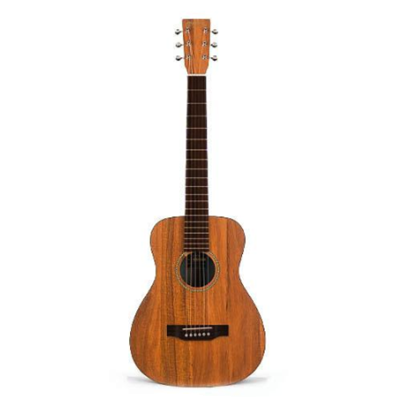 The Martin LXK2 Little Martin is the Koa wood solid topped spirit of musical fun that, unlike a leprechaun, will not cause mischief wherever you go. Not unless you enable him to or want him to. This little guy is a comfortable friend with a unique personality and incredible voice that is friendly both to beginners and professionals alike. Willing to go anywhere you go with ease, he is the perfect companion for all your mischief and travel.This vibrant songster is the perfect addition to the collection of any bard, bringing luck and beauty no matter how far you stray from home. Out of all the gifts that the sea and ocean have for us, seagulls are probably the most annoying, even if they bear romance in their legend. Thank god than that the Seagull S6 Original Acoustic guitar leaves the annoying behind and takes only the freedom to go anywhere and do as you wish. 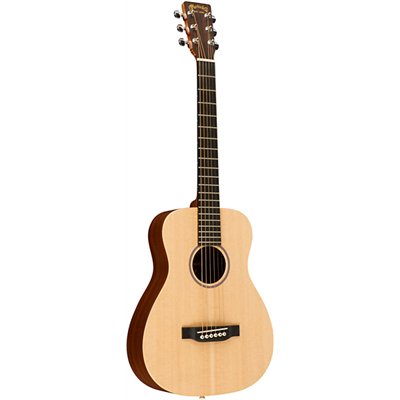 This affordable acoustic guitar is good to be played however you wish, with the capable, throaty and booming dreadnought body producing a sound that can make the waves seem silent and bland. The solid cedar top of this guitar, combined with the wild cherry back and sides, produces a vibrant and captivating sound that will catch those off guard listeners and take them, like a tide, back into the middle of your music. The affordable price of this guitar is more of an anomaly than anything, granting you value way beyond what the price tag would imply. Sometimes guitars are named after things that make sense. Other times guitars are named after things that may look cool but don’t produce a sound and you start wondering who thought of the name. The Seagull Artist Mosaic is one such guitar. Despite the name, the guitar plays incredibly well, producing a warm, vibrant sound thanks to the solid cedar top and the solid mahogany back and sides. The guitar is incredible to listen to, a testament to why mid range guitars are so highly valued, if strangely named. Maybe the name stands for how songs and music are simply arrangements of single notes and tones, just like a mosaic is an arrangement of colored stones that, in the end, produce a beautiful result? Whatever it is, why name a guitar mosaic if the metaphor is for music? Maybe the guitar was as hard to build as a mosaic and the maker got so frustrated he named it after one of the hardest things to make. Whatever it is, don’t mind the name, mind the sound the guitar makes. I’ve never been to Cordoba and I regret that fact more than I probably should. Never have gone there I would not know what Cordoba steel (Acero) is, but I guess knowing this guitar should give me respite in this subject. After all, the beauty of the guitar, with its steel string soul is, just like the other guitars in the cordoba series, an homage to the historic city in Spain. These hardy spirit of cordoba might bear some qualities of steel, after all the city has survived for longer than many civilizations have existed. No surprise then at the fact that the sound of this guitar seems undying. Yes, this is a mid range guitar in price, but its sound cannot be bought for the money you pay to get it. The solid Engelmann Spruce top of the guitar resonates beautiful, warm and vibrant tones with ease, while the classic dreadnaught, with a beautiful twist on it, produces a loud, strong sound. 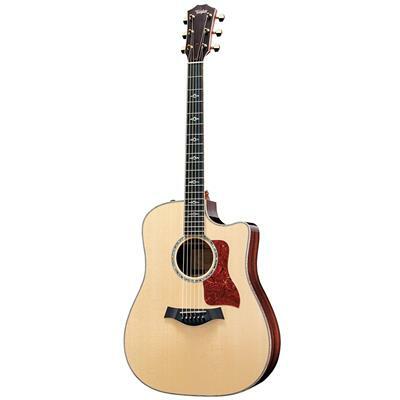 The Taylor 114ce is on the upper end of affordable guitars as well as in the upper end of good sound as well. Primed for professionals looking for a solid sound and comfort in play, this guitar fulfills its goal of sounding amazing for a price that does not scare away. Sporting layered walnut as it’s back and sides topped with solid sitka spruce, this guitar produces tones that will give the best high end guitars a run for their money. The design of the guitar is Grand Orchestra, a Taylor guitars special that defined the strong, captivating sound of their guitars. This beautiful example of unique engineering is also a great example that great sound does not require the traditional dreadnought shape. So, get your hands on this guitar, and play to your soul’s content, because it is one of the best instrument in its price range. It is said that there are many secrets hidden under Garth Brooks’s hat. Some of them are the ones that are never supposed to be seen in the real world, others that need to be seen but hidden away because Garth deems us unworthy still. But I know his secret, and let me tell you, it is much more impressive than you would think: under his gallon hat, with the cowboy brim and the mystery smile, he hides a guitar. 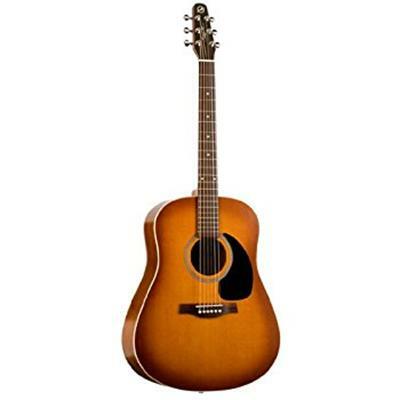 Not just any guitar, but the Takamine Pro Series GB7C Garth Brooks. It is said that he carries one in such a way that whenever he needs to, he may pull it out and strike a chord that will bring a tear to the eye of anyone in the crowd at the moment. That will bring the party back to life within an instant. So no surprise that the guitar he carries is designed specifically so that it produces the most vibrant, exciting sounds that a guitar could. The solid cedar top will enhance the upper limit of his tones, while the unique sound hole will remind you – there is no one who can play the guitar like Garth Brooks, not unless you are holding this one. The Martin D-16RGT is a standout guitar. Not because it is new and not because it is a combination of outstanding old and outstanding new. It is a special guitar because it holds a special place in the heart of the Martin fans, of the Martin company and all guitar players who know the history of acoustic guitars. The craftsmanship of Martin guitars dates back almost 2 centuries and carries a long history and tradition, dating all the way back to the first Martin creative enough to build the first Martin guitar. The D-16RGT Dreadnought carries the traditions of the Martin guitar family into the modern world, bringing some of the old into a world so oversaturated with the new. The guitar is built to be a classic, and it is one, thanks to its outstanding sound. The solid sitka spruce top combined with the east Indian rosewood back and sides produce an unforgettable sound, one that, just like the history of Martin guitars, carries through the world with grace and strength. In the world of the best high end acoustic guitars, there are few that can compete with what Bob Taylor has to offer. The 810e Rosewood guitar is one to prove this point by simply, and unabashedly, producing the most hypnotic, balanced sound a guitar can offer. There is little in terms of metaphor or praise I can provide, not because the guitar does not lend itself to the most amazing comparisons, but because I simply lack the imagination to do the guitar justice. The sound, depending on whether you get brazilian rosewood or east indian rosewood back and sides, is deeper and warmer than any guitar you’ve heard up until this one. The top wood, spruce, is what lends the guitar its exceptional vibrance. The guitar is like warm cocoa on a cold winter night – soothing to the mind and soul. This guitar is more of a spiritual experience than it is a physical one. This little travel buddy is the perfect friend to take with you onto the road as you finally decide to fulfill your dream of travelling along the horizon. The lightweight instrument is comfortable and easy to play, making it perfect not only for travel, but for any beginner looking to be able to play with a great, easily accessible electric-acoustic guitar. This Little Martin has a solid spruce top combined with beautiful solid mahogany back and sides that results in a vibrant, lively sound with well expressed top end tones. Perfect for anyone who wants a big sound that is packed away in a small package, this impressive Little Martin will result in you practicing and playing more than you thought you ever would or could. If you find yourself on the road more than in any one place, you might find it hard to lug around an acoustic guitar and you might also not want a scaled down version for “comfortable” carrying. In that case you might also consider the option of acquiring an acoustic electric guitar, such as the Traveler Guitar Mark III MK3 MHG. It might not look like your average acoustic guitar, but the sound makes up for it. When played, the sound released by the electronics, whether you are plugged in with your headphones or to an amp, is similar to what a well sounded acoustic guitar on a stage would. So whether you are looking to be playing for yourself in a car in, in a parking lot, at a rest stop or hitting gigs around the state you will find this acoustic electric guitar infinitely useful to you. Taylor BT2 Baby Taylor acoustic guitar is no child’s toy, though children will find it incredibly fun to play. This guitar, which yes, initially was intended for younger instrumentalists, today stands as an example of an affordable traveler’s guitar, as well as an incredibly versatile instrument. The mahogany top replaces the spruce top of its twin, resulting in lower, grounded tones that will seem incredibly pleasant to those partial to the worldly sounds. This guitar is perfect for those looking to play around with how they play, techniques, styles or even alternative tunings, this guitar will help you take your music to the next level. The affordability of the guitar makes it one of the best guitars you could buy. The Martin LX1 Little Martin is the twin brother of the Little Martin LX1E, only slightly less electronically developed. This guitar is just as good as its brother in many ways, but lacks the same sophisticated electronic development. Despite this, even on its own the LX1 is an exceptional travel companion, producing a great sound with or without an amp. It is perfect for your camping trip with the wife and kids, where you know you will be seated around a fire in the dark and will have to sing a song to alleviate the mood after all the scary stories you inappropriately told to the kids right before sleep. A great companion even at home, this guitar is perfect for hours of practice on your own or with the kids who want to learn the guitar. The size and the lightness of the guitar promise comfort no matter where you go with it. And just so you know you will be having hours upon hours of fun with it, imagine the happiness of the little ones as they see a guitar they too can pick up and play with ease. There are few gifts in the world that feel as inspiring to their receiver as the gift of music. And the gift of music does not always have to mean that you buy them the best instrument out there so that a beginner can start out as fancy as a professional would. But it does mean that you need to buy the receiver a solid guitar capable of producing adequate sound and comfortable playing position. The Yamaha FD01S is one such gift that bring a glimmer of happiness into the life of the person who gets it. The incredibly affordable guitar has everything a beginner player might need, including a professional flexibility of sound and tunes. Whatever the reason you are buying this guitar is, it will never disappoint. Looking for a more traditional sound and look in his guitar? 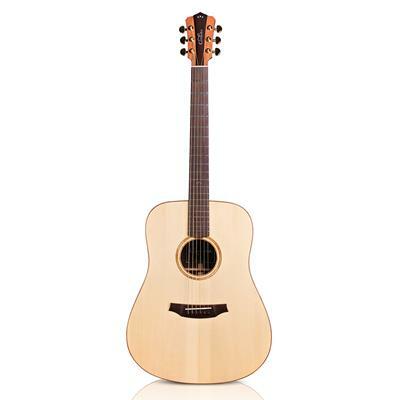 This Cordoba Guitars Protege C1 3/4 size acoustic nylon string guitar is perfect for the any beginner guitarrista, young or old. 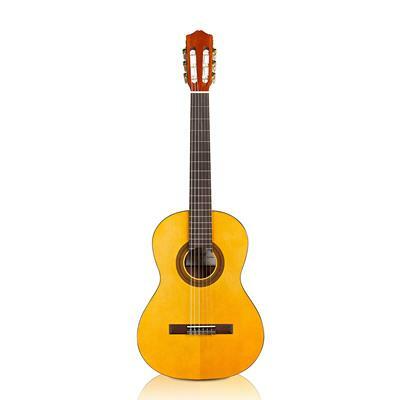 Offering a very classical spanish look, this scaled down guitar is the perfect size for children. The nylon strings are easy to handle and sound beautiful on this affordable, but very well constructed acoustic guitar. It is a great option for a child to learn to play the guitar. 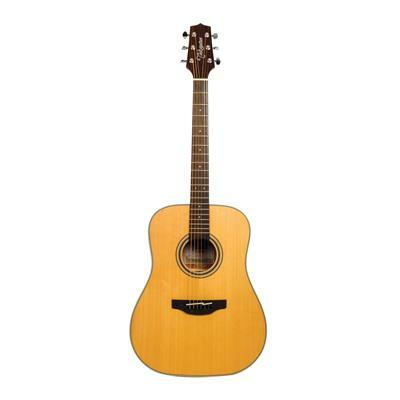 The guitar takes wear well, while the comfortable size and the nylon strings do not create any wear on the child itself. Your offspring will not want to drop his guitar and will at some point end up dancing around the house with it, playing music, desperado style. If you have been reading my reviews for long, you will also know that all 12 string guitars result in me thinking of bards and the ancient travelers of the roads, poets and musicians with and without a purpose. Well, this guitar, does not. 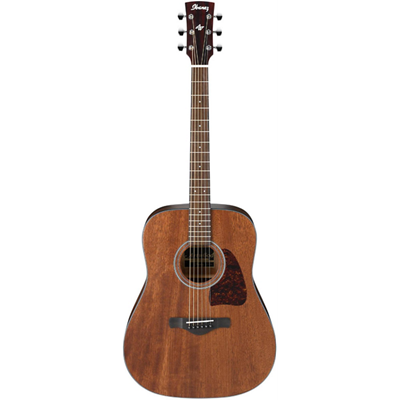 The first thing Martin D12-28 reminds me of is how poor I am. The second thing this guitar reminds me of is the divine sounds I once dreamt about heaven (I have weird dreams, don’t judge me). The third thing this guitar reminds me of is how much I wish I had the skill to play it. After all an instrument of this quality demands nothing less than mastery of string and sound to be played right. The sitka spruce top resonates the already incredibly vibrant tones of the 12 strings into a seemingly new dimension of sound, while the east Indian rosewood back and sides add the little bit of depth that balances the guitar into perfection. And despite all these adjectives I still have not enough words in my vocabulary to describe how good the guitar is. I guess you’ll have to find out on your own. Back to the bards of the old. After all the 12 string was designed to sound like you have an exceptional story to tell. Bob Taylor believes that comfort in play is important, so he makes this 12 stringer incredibly easy to play, despite all the extra strings being added to the guitar. This instrument is a piece of affordable joy to any musician looking to expand their skillset and tone set into a whole new world of music. Yes you might feel like a bard playing it, but you will feel like a bona fide badass after you are done. Challenging as it might be to play a 12 string, this guitar brings a lazy sense of ease to the world of 12 strings. Don’t get too cocky though, once you start playing, you might end up never going back to a normal guitar. The Taylor 150e does have the addictive power that few 12 strings have. So be careful with this sitka spruce top beast, because the sound it produces might not be something you are ready to ever leave behind. As many in the eastern part of the world know, the state of Nirvana is nigh impossible to achieve. And just like that a quality but affordable 12 string guitar is also almost impossible to find. Now that I have found one though, I might just start out my quest for Nirvana and I might end up using the 12 string I just found as one of the gateways to achieve it. I love and appreciate a good 12 stringer as much as any musician does. The thing is, I did not know that a guitar this affordable could sound this good. It is as if the people at Takamine who constructed this guitar were buddhist monks who aimed to bring the average mortals a musical shortcut to eternal piece. And while the buddhist monk thing might not be true, one thing is: Takamine GD30CE is an incredibly valuable addition to your collection for the fraction of the price of what you’d have to pay for this sound. The bearded ghost of the all bluegrass musicians united into one incorporeal body came to me one day and told me: this is just a dream, but the Gold Tone Paul Beard Signature Series PBS-M is real, and if I could buy a guitar, I would buy this one. I woke up the next morning wondering why it was I dreamt that dream, since bluegrass had been lost to me for a while. Then I looked up this guitar and it hit me – because this is an exceptional instrument. This steel resonator is soothing and haunting at the same time. The unique beard spun aluminium cone placed on this resonator gives it a sound that is unique even among the unique resonators, while the square neck makes it perfect to be used as a lap top steel guitar. 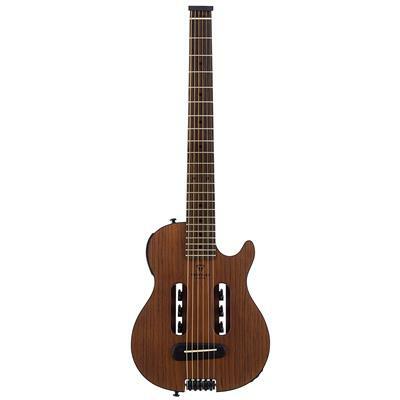 The mahogany body and the rosewood fretboard are comfortable and lightweight, enhancing the sound of the guitar and balancing its vibrancy and playfulness. In the end, this is the best high end resonator guitar you could probably get your hands on today. When the resophonic guitar was first created, it was hard to decide if it was futuristic or a call back to the past. Whether it was a piece of new technology or simply the utilization of past techniques to create something new. The dilemma persists in the modern times, especially with the Regal RC-51 Metal Body Tricone Resophonic Guitar, that looks like it could have come out from a steampunk, retrofuturistic, science fiction novel. The metal body of this guitar is as much a design from the future as it is a call back to the past. The sound it makes is as alien as it is familiar and pleasant. So no wonder that I would like to call this guitar one of the more unique acoustic guitars on the list. The tricone design is definitely one of the original designs, but the concept of mechanical amplification, as done in this resonator, is still a little on the mind blowing side. Whatever the guitar is, whenever it is from, it is still one of the best resonator guitars around. The sound of the Recording King RM-991 Tricone Resonator is royal and regal despite being primarily used by the bluegrass bums with long beards and wide brim hats that I so idolize (despite them not being that real). This guitar is on the affordable side among the resonator guitars, but it is also one of the best to ever grace our world. Its signature vibrant, twangy sound and flexibility in play technique makes it an incredible addition to any collection of any guitar player. Only if I could strike out and become one of the bluegrass bum royalty playing this instrument somewhere deep in the countryside of the american mid-west, I would possibly be a happier man. Or maybe I would miss WiFi too soon and come back with my tail between my legs – whichever it is, I know for sure that the sound of this instrument is one of the man things calling upon me to abandon my urban lifestyle and dedicate the entirety of my being to music. There are several types of guitars listed above. All of them are acoustic, but they all possess unique qualities that affect the way they sound and play. So, to make sure you know what you’re getting into, here are short explanations of what each type of guitar is and how it differs from the others. The steel string guitar is the guitar you think of when you hear the words acoustic guitar. This type of guitar has become incredibly popular around the world in the 20th century. Ubiquitous, it is the go to instrument whether you are playing country, rock and roll or really, any genre at all. 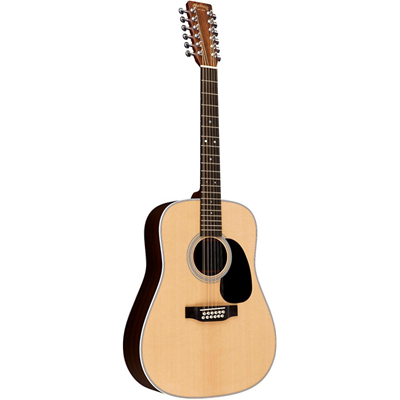 The guitar is relatively loud, compared to its other acoustic brethren, thanks to the so called “dreadnought” design often used in the construction of the guitar. This design makes the body of the guitar bulkier, giving the sonic vibrations more space to resonate inside it, resulting in better and louder projection. The steel strings of the guitar produce an incredibly vibrant and energetic sound. The “twangy” nature of the sound gives the tones played a unique flavor. The metal of the guitar is also more susceptible to natural sustain when played with high speed or strength, but the best steel string guitars mitigate the effect. Even if sustain creeps in, creative use of the effect might result in a very pleasant and unique musical effect. The steel strings also tend to be a little harsh on the fingers of the fretboard hand, causing calluses or possibly pain, until the new instrumentalist gets used to them. After a while the strings stop being harsh so that playing the guitar becomes only pleasurable. The classical guitar is the second most spread type of guitar in the world. This might also be the instrument you think of when the acoustic guitar is mentioned, though the guitar has lost some of its popularity over the past century. This is the result of change of popular genres of music around the world – the classical guitar was more often used for playing classical music arrangements or flamenco music. Nowadays, with the rise of country, blues, rock and roll and other modern genres that demand more flavor from their instruments, the classical has lost some of its popularity. The thing is, the classical guitar still possesses the qualities that often attract popular music musicians to use the instrument in their compositions. Unlike the steel string guitar, the classical guitar has a smaller body shape, following the tradition of the “classical guitar” makers. This means a slightly softer sound when compared to the steel string guitar, but it also means a lighter weight and more comfort for the player. The Nylon strings of the guitar are one of the most unique thing about it. The best classical guitars sound no quieter than the best steel strings, but they also have a warmer, mellower sound thanks to these strings. This makes the guitar the favorite of musicians who prefer to remain calmer, though the guitar is extremely good at fast paced and energetic music. The Nylon strings are actually much less susceptible to the sustain problem of the steel strings, meaning that fast paced fingerstyle or high speed strumming sound just as precise and good as slow playing. The resonator guitar is one of the most unique types of acoustic guitar on this list, both in terms of make and technique. The guitar is made with an alternative method of sound resonating: the typical guitar uses a soundhole and a large cavity in the body to amplify and resonate the sound. The resonator guitar uses a metal coil connected to the bridge of the guitar, through which the vibrations of the strings travel and are resonated by the coil. This results in a very unique sound and a unique style of play. There are several types of coils used in a resonator guitar and all of them are part of a very interesting history. Some of the best resonator guitars were made in the 1950s, from whence the history of the guitar begins. The material of the body and fret does have to be steel or metal, but often, for cosmetic purposes, are made so. The coil is usually made with metal, which gives the guitar a much more twangy, energetic and vibrant sound. The uniqueness of the sound also tends to put the guitar in the specific genres of country and bluegrass, but has been used in outside genres as well. The potential uses for the guitar are immense. There are two ways to play the resonator guitar, depending on the type of neck it has. The square neck requires the guitar to be played as a laptop steel guitar. This means keeping the guitar horizontal, strings up, and playing it in such way. This allows for easier sliding across the fretboard and easier finger picking. 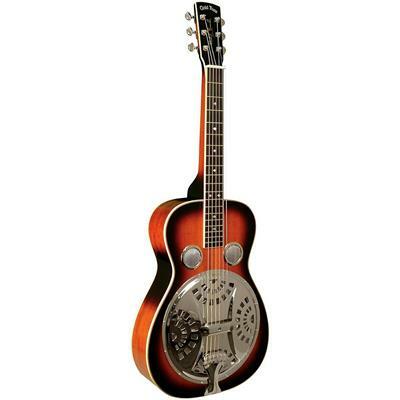 The round neck option among the resonator guitars allows it to be used just like any conventional acoustic guitar. The makes strumming easier. Scaled down version of acoustic guitars tend to be the same as normal sized versions of the guitars other than sound. The smaller size makes the guitar easier for children to play or for travel. These guitars are incredibly well fitted for the needs of beginners, but also provide good enough sound for professional players. Now that you are aware of the general details about each type of these guitars you might have an idea that you want one of these specifically. I am glad that this short guide helped you out. The thing is, you might be interested in buying all of these as well, but you have to have the basic skills required to play a guitar before you do. 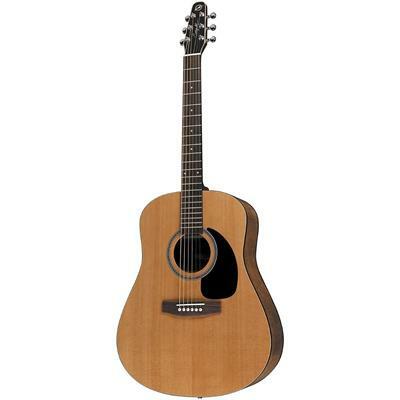 For that you would need the best beginner’s acoustic guitars available. Once you have the skills to play a guitar then you should think about investing in the best instruments available on the market. These skills would also assist you in learning the different styles and techniques required to play some of the more unique guitars on this list, such as the Resonator guitar. Owning the best acoustic guitar comes with a burden. You must be able to play it to its full potential, no matter what type of guitar it is. Otherwise why would you buy it? Why waste the resources necessary for such a beautiful instrument if you do not intend to challenge both it and yourself. The acoustic guitar is an immense instrument, both in its power and challenge. 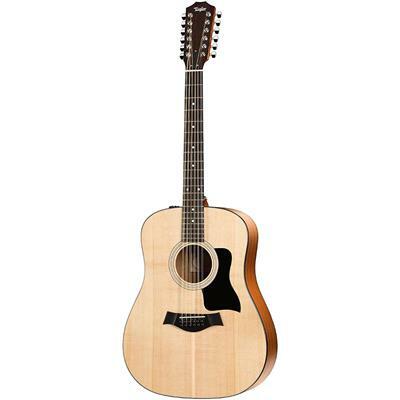 Its versatility is what makes the acoustic guitar so valuable in the world of music. Whether you’re playing jazz, rock, blues or most any instrument based genre, you will encounter the need for guitar. So why not have the best guitar you can get your hands on available when you do?